Position Type: Temporary Short Term. 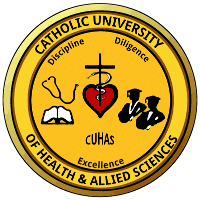 CUHAS-Bugando in collaboration with AKF is planning to conduct an Evaluation survey. The proposed pilot research study seeks to develop and dynamic evaluate the contribution of Health Improvement Project in the Southern Zone. Terms of Reference: CUHAS is conducting a household rural survey and is seeking Research Assistants (RAs) to join the research team to conduct household interviews in rural areas. The hiring process will consist of a personal interview with a selection committee. Eligible and selected applicants will be invited to attend a pre-survey training. The data collection will begin on October 25th, 2017 for an estimated three weeks’ time.